Today's 5 Minute Summer fun is one of my kids favorites - DIY snow cone syrup. Be the Super Summer MOM and take 5 minutes to create fun for your kids. This year I even set up a permanent summer snow cone station in my kitchen. I took a tray and placed our snow cone machine, variety of syrups, straws, spoons and cups on it and now we are ready to make snow cones at a moments notice. Place sugar and water in a sauce pan and bring to a boil. Remove pan from heat, pour in the Kool-Aid and stir until dissolved. Cool to room temperature and pour mixture into squirt bottle then place in the refrigerator until chilled. Today My Grandparents are celebrating their 72nd Wedding Anniversary as their Grand Daughter I have spent my lifetime observing their successful marriage. 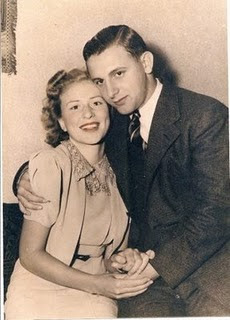 Today I want to share with you the 5 TIPS I learned from my Grand Parents on having a successful marriage. 2. Be a couple that speaks positive to each other and when in conversation about each other. 3. Be a couple that PRAYS for each other every night and prays for their family. 4. Be a couple that takes their marriage vows seriously - "To have and to hold from this day forward, for better or for worse, for richer, for poorer, in sickness and in health, to love and to cherish; from this day forward until death do us part." 5. Be a couple that never stops dating each other. Thank you Dana and Poca you have inspired us , mentored us, encouraged us , taught us amazing life lessons, believed in us, cheered us on, created life long memories, and have created an incredible legacy for their family. Happy 72nd, Poca and Dana! Thanks for being incredible role models to the next generations. Day 59 - Make washing the family cars a fun water event with your kids. 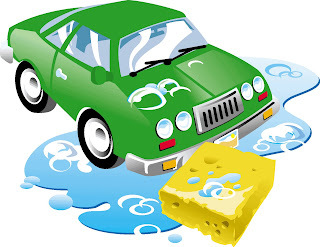 Have contest who can wash their area the best or make Sponge water bombs to wash the car with and then use afterwards for a family water fight. Click here for complete directions on making Sponge water bombs. Q:Who was the best teacher you ever had? Q: How do you make a strawberry shake? A: Take it to a scary movie! Today's 5 Minute Summer fun is perfect for water fights or bath time fun. Be the Super Summer MOM and take 5 minutes to create fun for your kids. 3 - sponges 1/2-by-2 3/4-by-4 1/4-inch. California Pizza Kitchen -home of the Original BBQ Chicken Pizza and other innovative hearth-baked pizzas, made-to-order pastas, creative salads, appetizers, soups, sandwiches and desserts, has created six new menu items nationwide. From pizzas and pasta to sandwiches and dessert, the new items have the innovative twist California Pizza Kitchen is known for. · Four Seasons Pizza Imported Italian tomatoes, oven-roasted artichoke hearts, salami, fresh mushrooms, mild onions, Mozzarella and fresh Mozzarella cheeses and topped with fresh herbs and Parmesan cheese. · Roasted Artichoke and Spinach Pizza Oven-roasted artichoke hearts, sautéed spinach and garlic, Fontina, Mozzarella and Parmesan cheeses and a spinach artichoke sauce. · Baby Clam Linguini Linguini fini and baby clams with garlic, fresh Italian parsley, Parmesan cheese, white wine and red pepper flakes tossed in either a light lemon cream sauce or imported Italian tomatoes and fresh basil. · Italian Deli Spicy Capicola ham, salami and pepperoni topped with Mozzarella and Fontina cheeses, basil and shredded lettuce tossed in a herb-mustard Parmesan vinaigrette. · Turkey Stack Oven-roasted turkey breast, sliced fresh Roma tomatoes, mayonnaise, shredded lettuce and Grey Poupon Dijon honey mustard. · Butter Cake Oven baked butter cake served with fresh whipped cream. All of CPK’s new menu items are available to guests who dine-in, place a take-out order, use CPK’s Curbside Service or who order online at CPK.com. WIN : #1 - Thank You Card Program. - Running through October 8, 2010, CPK will give out 2.7 million Thank You Cards to customers dining at their full service restaurants across the nation. Each party will receive a sealed envelope with a check containing a guaranteed prize, ranging from 10% off a meal to a $25,000 cash prize. The program is to thank customers for their loyalty and the sealed envelopes are to be opened only by a CPK manager upon the guests’ return. 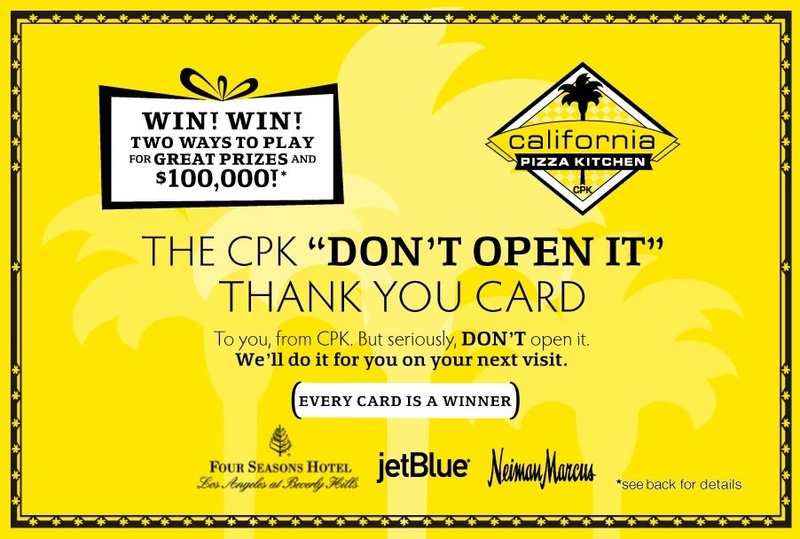 This year, CPK is also holding a $100,000 sweepstakes, giving customers an opportunity to win twice. 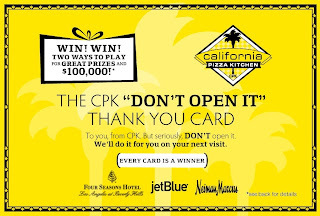 Customers can enter the online drawing at www.cpk.com/thankyou or on their mobile phone by entering the coupon code they received from the envelope that was opened at the restaurant. For complete program details and official contest rules, please visit www.cpk.com. WIN: #2 24/7 MOMS and CPK are giving away $50.00 in pizza dough dollars to be used at your local CPK. 1. Become a 24/7 MOMS Subscriber Enter your email address below then leave a comment that you subscribed along with your email address. US entries only and one entry per person. Winner will be chosen on August 15th, 2010. *We received a complimentary CPK Dough for review no financial compensation was received. Give the gift that keeps on giving – a FREE Cricut Expression! Michaels stores and Provo Craft have teamed up for an exclusive promotion just in time for back to school. 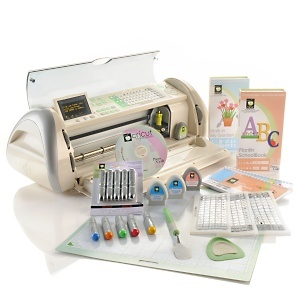 During the month of August, when you purchase a Cricut Expression machine, you will be able to also donate one to the school of your choice. What a wonderful way to give a cool tool to your school! Quantities are limited to 2,000 verified submission. So hurry to get your request for a donation submitted before the end of August. Fox 2000 Pictures and Walden Media team up to present the summer family hit of 2010 in Ramona and Beezus. Director Elizabeth Allen, screenplay writers Laurie Craig and Nick Pustay along with a fabulous cast of performers bring to life the adventures of Ramona Quimby. Ramona’s escapades were written over fifty years ago by Beverly Cleary in her series called the Collection of Ramona. One of the stories in the collection deals with the life and times of sisters. The adventure of the siblings Ramona and Beezus is the first film featuring Cleary’s writings and begins with an energetic, accident-prone nine-year-old, Ramona (Joey King) vying for the attention of all the members of her family, especially her older and wiser sister, Beezus (Selena Gomez). Unfortunately, Ramona’s mishaps, though unintentional, seem to forever be a source of contention among the family members making her feel displaced. Cleary’s message comes to fruition with the sensitive guidance and direction of filmmaker Allen, as well as the screenwriters who honor Cleary’s style with vivacious dialogue in order that the cast can give a delightful face to Ramona Quimby and the overactive imagination that dictates her world of dreams. The nine-year-old Ramona Quimby lives on Klickitat Street where in her every day world there is a new day for adventure and discovery. Her escapades often end in horrific mishaps making her appear to never have a clue for what is right. Beezus Quimby, on the other hand is the perfect teenager who never does anything wrong, similar to coloring perfect and neat inside the lines of her world. Beezus is forever sticking up for her accident-prone little sister because she adores the fact that Ramona works so hard to be true to herself, knowing that it rarely involves conformity. She loves and respects the fact that Ramona is a natural lover of the soul and freely acts upon her heartfelt whims. As the life and times of sisterhood would have it, Ramona ticks teenage sister off, big time, severing daily communication between the two. Ramona has colored outside the lines of her world one too many times making this phase of their sister relationship very messy. It is not until two drastic family situations begin to dominate their world that they engage upon a journey of reconciliation. Never dreaming their expedition could be so much fun or the amazing adventure planned just for sisters would be one to cherish forever and ever. Day 58 - Create a terrarium with your kids. A terrarium is a miniature landscape with living plants and even sometimes small animals like lizards or turtles. Click here for ideas on various types of terrariums. Q: What are the qualities that make a good friend? Q: What does corn say when it's picked? Today we begin a series of 5 Minute Summer Fun ideas. Each day we will feature an idea you can accomplish with your kids in just 5 minutes - and in their mind you will be their SUPER mom. With the temperatures rising and our kids spending there days playing in the sunshine it's time to follow the 8 suncreen rules to lather by. 1. Use a suncreen that has SPF of 30 or higher. 2. Choose suncreen that is age appropriate and waterproof. 3. Choose the type of application your kids will not resist. Spray, lotion or stick. 4. Apply to clean dry skin 30 minutes prior to heading out into the sun. 5. Don’t apply body lotion before sunscreen, it will act as a barrier to your sunscreen. 6. Reapply every 2 to 4 hours especially when swimming or exercising in the sun. 7. Keep sunscreen it in a cool dry place. Extreme temperatures affects the effectiveness. 8. Sunscreen has a shelf life of about 2 years. Check the expiry date when you purchase it. eosTM, the innovative personal care brand, reinvents the lip balm category with its USDA-certified organic, all- natural lip products: lip balm smooth sticks and lip balm smooth spheres. 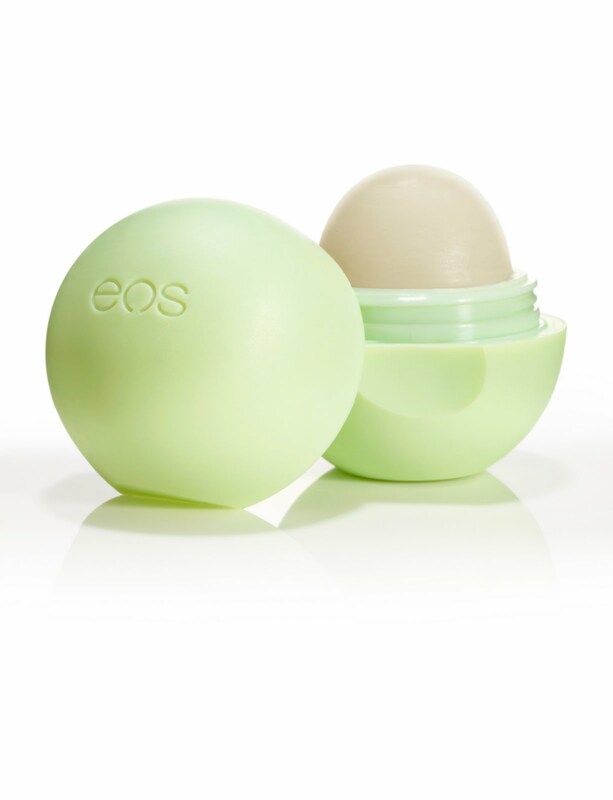 Packed with antioxidant-rich vitamin E, soothing shea butter and jojoba oil, eos lip balms keep lips moist, soft and sensationally smooth. Both the beautiful smooth stick and ground-breaking smooth sphere have remarkable packaging that is soft-to-the- touch and easy to use. No matter which way you prefer to put it on your lips, you’ll be able to get the same conditioning, organic, all-natural lip balm in five great flavors. •  Vitamin E – antioxidant protection soothes and heals. WIN: 24/7 MOMS and EOS are giving away EOS to one of the 24/7 MOMS. US entries only and one entry per person. Winner will be chosen on August 8 , 2010. *We received a complimentary EOS for review no financial compensation was received. Celebrate each day, always – and find some new holidays or “observances” you can enjoy. August begins with “National Clown Week”, August 1-7 – and I’m sure you can think of many ways to enjoy clowning around with your kids. Invite the neighbors and make it a party or play date! Serve circus food and create a relay race of clown items – see which team can get clownly-dressed the fastest! August 1-7, according to http://www.brownielocks.com/august.html, is also “Simplify Your Life Week”. School supply sales and yard sales are great opportunities to find organizing tools – for less. Choose one area of your life, whether it is daily paper work, kids’ toys or your car to organize – and set out to find the tools at a great price. Here are a few other of Augusts’ special weeks. Find someone to encourage, and a memory to make – have fun! Weird Contest Week, August 15-21 – Create fun, silly times with your kids and friends! Be Kind to Human Kind Week, August 25-31 – Enlist and encourage your kids to practice random acts of kindness this week. Adopt a neighbor for the day (yard work, invitations to tea, handmade notes, etc.) or other ways to show love to one another. Friendship Day, August 1. Be a Friend, Make a Friend. Talk with your kids about friendship skills. Find friendship-themed book at the library or create a puppet show! Smores Day, August 10. Can you say campfire and chocolate! Experiment with new smores ingredients – and don’t forget the washy-wipes n’ cameras! National Garage Sale Day, August 14 – Get out there and find great deals – use http://www.garagesalestracker.com/ for Garage Sale Apps, sale listings and lists of consignment/flea markets near you. Day 57 - Family treasure hunts can be fun when you try out Geocaching. Geocaching is a high-tech treasure hunting game played throughout the world by adventure seekers equipped with GPS devices. The basic idea is to locate hidden containers, called geocaches, outdoors and then share your experiences online. Geocaching is enjoyed by people from all age groups, with a strong sense of community and support for the environment. Learn more by clicking here. Q:What would you do if you were invisible for a day? Q: What kind of beans have landed on the moon? It is week two of 24/7 MOMS new weekly segment called DIY MOMS. Where we feature a DIY ( Do it yourself) project by a MOM each week. So, get ready for some super fun and creative ideas from MOMS. If you have a DIY Mom project email us at trisha@247moms.com. Today we are featuring Redtedart's Blog and her fail proof scented playdough recipe. Kids love to playdough and what more fun could it be then with homemade playdough that smells yummy as well. Click here for instructions. Day 56 - Kids love to watch movies. Inspire you r kids to read a book that also has come pout in a movie . After they complete reading the book rent the movie to watch together and discuss the differences they may have between the book and the movie. Q: Name two things we should do as a family on the weekend. Q: I am in the grain group. I am long and stringy. You can put sauce on me. What am I? The APP to keep your home on a routine and organized : Use HomeRoutines to give yourself a gold star for each completed task as you work through your household routines at your own pace. Create unlimited, customized routines, which appear on your chosen days. No overdue notices or any other nagging - just choose a task and use the built-in timer as a motivational tool to keep you. Click here to get your Home Routines APP today. Last week we asked you for your amazing TIPS to encourage your kids to read and you had some really creative ideas. VTech has now created the Ultimate Tips for encouraging kids to read. ( see below). • Integrate Reading into Real Life: Show children that reading can be both practical and fun. Try reading recipes and creating goodies together, or read a story and then re-enact a favorite scene for other family members, complete with props and basic sets. • Ask Your Pet to Lend an Ear: Encourage your children to read aloud to the family dog or a favorite stuffed animal. Your youngsters will get to practice their reading, and pets make great listeners. • Create an Intimate Space: Make reading exciting with indoor “campouts.” Use sheets and chairs to help your kids make tents, pile blankets and pillows inside, and bring snacks and a stack of books. Reading with a flashlight will add novelty to the activity. • Reward Reading Comprehension: Set aside one night each week for a “quiz night,” when you can read to your kids and give them rewards, such as money to set aside for more books, for answering comprehension questions correctly. • Throw a Book Party: Make reading a social activity. 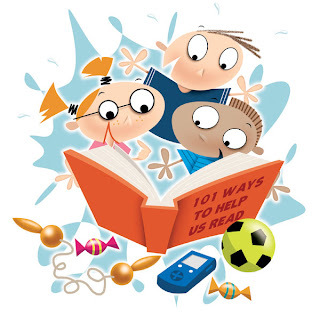 Invite a few of your child’s friends to your house and ask them to bring a favorite book. Provide snacks and games that incorporate reading. • Get Involved Locally: Check area libraries, bookstores and even bank branches. They will often host story hours or summer reading programs for kids, offering incentives for reading a certain number of books. • Think Outside the Box – or Book: You don’t need to use books alone to encourage kids to read. 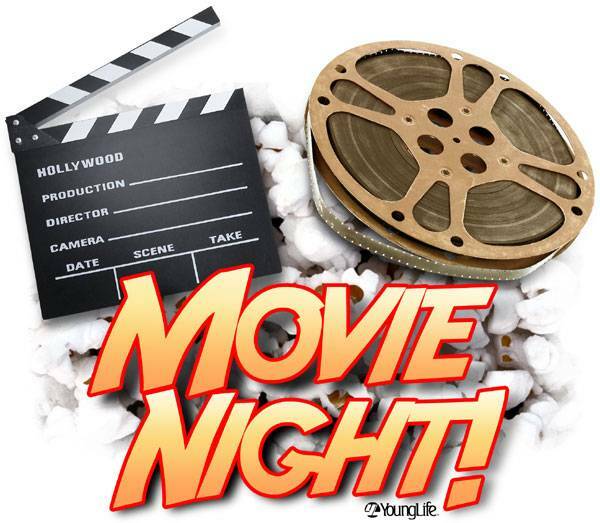 Ask your child to read things like street signs and menus when you are out and about, or put closed captioning on the TV so he can see as well as hear the words of his favorite shows. • Give Them a Choice: Set aside an hour or two of quiet time during the day, and tell your kids they can either read or take a nap during that period. Letting them choose to read will remind them that they can choose reading at other times, too. • Write Stories Together: Reading and writing go hand in hand. Write stories with your kids one word at a time – you write one word, they read it and write one word of their own – until you have a story you created together. • Play to Their Interests: Let your kids read about subjects they already enjoy. From Pokemon to ponies, if they are fascinated by a topic, they will love reading about it. VTech’s electronic learning toys are innovative and offer educational benefits for baby, infant, toddler, preschool and grade school ages. VTech is delighted to introduce the V.Reader, the first kids animated e-book for 3-7 year olds. The latest evolution in dramatic eyes has arrived: RevitaLash® Eyelash Conditioner. Developed by Michael Brinkenhoff, M.D., RevitaLash® was created to enhance the beauty of natural eyelashes so they appear longer, thicker, fuller, and darker even without makeup. RevitaLash is one of the most exciting and effective products to come along in decades. It was born out of Dr. Brinkenhoff’s desire to give his wife Gayle a very special gift while she was recovering from breast cancer. Intensive chemotherapy treatments had damaged Gayle’s once beautiful eyelashes, leaving them sparse, breakable and fragile. As a practicing ophthalmologist for more than 25 years, Dr. Brinkenhoff knows a thing or two about eyes. Based on his experience, he believed that he could develop a safe formula that would give Gayle’s eyelashes renewed health, strength and beauty. After extensive research with a team of talented cosmetic chemists, Dr. Brinkenhoff formulated a conditioner that after just a few weeks, gave renewed vitality to Gayle’s eyelashes. It was just what the doctor ordered! It has been so much of a joy that the Brinkenhoff’s have committed a portion of all the company’s proceeds from RevitaLash® sales to benefit non-profit breast cancer research and education initiatives. This is a very important issue for Gayle. 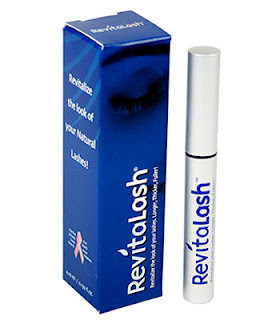 RevitaLash® contains a blend of functional cosmetic ingredients including prostaglandin analogue. Directions for use: Once daily, at bedtime, apply a thin line of RevitaLash® to the base of the eyelashes (as though you were applying eyeliner) to produce dramatic results. Once results are achieved, apply two to three times a week for maintenance. Each tube should last approximately three to five months. WIN: 24/7 MOMS and RevitaLash® are givng away one RevitaLash®. US entries only and one entry per person. Winner will be chosen on August 8, 2010. *We received a complimentary RevitaLash®. for review no financial compensation was received. Q:Which of your friends are you proudest of and why? Q: I am green. I look like a tree. I am a vegetable. Who am I? LIVE Giveaway extravaganza Webcast . Join us for the 24/7 MOMS LIVE Extrvaganza -(TV show on your computer). Invite your MOM friends to meet you online at the 24/7 MOMS Virtual party and let's celebrate a new school year with 2 hours of Giveaways, Live Momverstaion and Tons of mom fun. WIN: Bob the Builder™: Building From Scratch DVD. Scratch, the newest member of the Machine Team, is on the job in an all-new collection of colorful CG-animated adventures in Bob the Builder™: Building From Scratch, available on DVD and digital download from Lionsgate and HIT Entertainment. Follow loveable Scratch as he takes center stage on his first solo job. He also works with the Can-Do Crew to renovate an old soccer field and even helps them start their own team! 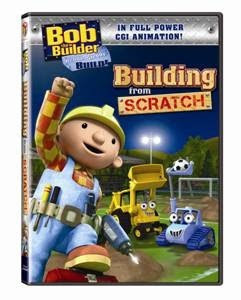 Bob the Builder™: Building From Scratch also features never-before-seen story content that is exclusive to this DVD. Join Bob the Builder and his Can-Do Crew as they have fun getting it done in Bob the Builder: Building From Scratch, featuring exciting building adventures where Bob takes on some of his biggest jobs yet! Learn the importance of following instructions, and see how working together is always a blueprint for success. WIN: 24/7 MOMS and Lionsgate and HIT Entertainment are giving away one Bob the Builder™: Building From Scratch DVD. *We received a complimentary one Bob the Builder™: Building From Scratch DVD. for review no financial compensation was received. Day 55 - Remember the quote "Dance like no one is watching. Sing like no one is listening. Love like you've never been hurt and live like it's heaven on Earth." Now Turn on the music and dance with your children. Q:What do you think is beyond the stars? Q: What fruit has its seeds on the outside? It was a Sunday morning and Nate was rehearsing his memory verse over and over again so that he was ready to share it with his Children’s church director. He had it down and was fully prepared . Off to church we went memory verse in our heads and bibles in our hands – I dropped off the boys to their class with a quick hug and Ill see you after church reminder. An hour later I arrived to pick my boys up and as we exited I asked Nate if he had recited his memory verse today? He responded by handing me a Butterfinger candy bar wrapper in which he replied "yes, and I saved you the wrapper as a souvenir of the candy bar I was given and now is in my tummy. First I laughed thinking he actually saved me the wrapper as a souvenir -then I thought how this wrapper was actually a great reminder of not only had Nate absorbed a candy bar into his body today but he has also absorbed the word of God into his heart today . As a mom I want my children to daily absorb God’s word into their heats and I'd be happy to collect empty candy bar wrappers as souvenirs if it means they are filling up on God’s word. This past week when I stumbled across this resource to inspire my two younger boys in their faith I was super excited as I often find resources for the younger age group or teenagers - So, I quickly placed my order and can't wait for it to arrive and begin our own weekly FaithLaunch. I know my boys will also be excited as it includes episodes of Adventures in Odyssey in which they are huge fans of. Click here to order your copy of FaithLaunch today and read more about it below. You're about to discover a fun, easy way to do one of the most important things in the world. It's FaithLaunch: A Simple Plan to Ignite Your Child's Love for Jesus by John Trent and Jane Vogel. FaithLaunch isn't the only method for introducing your child to Jesus, of course. But it's a good way to do it without pressuring your child, exhausting yourself, or upending your family's schedule. Each of the 13 "Family Times" takes about 30 to 45 minutes; that's 30 to 45 minutes of togetherness, not tedium. You might use one Family Time each week for 90 days — or bits and pieces over a longer period. You get to decide, because FaithLaunch is flexible. The goal is to prepare your child to begin a relationship with God. Since so many children receive Christ as Savior when they're 4 to 7 years old, each Family Time is written with that age group in mind. But shifting gears for kids ages 8 to 12 is easy; just use the optional activities. FaithLaunch gives you plenty of fun ways to learn, including three Adventures in Odyssey episodes to listen to. You'll sculpt with clay, stage a treasure hunt, even tell a story with the help of your child's action figures or dolls. If you need an excuse to play with your child, here it is! And if you need permission to talk about what's important, that's here, too. The plan for each Family Time is easy to follow. Your goal is clear, and the items you'll need are listed — right down to snacks you might enjoy. To boost your confidence, things you might say are spelled out in bold type — with answers to questions in parentheses. And you're always free to adapt the plan to fit you and your child. There's a bonus, too — another confidence booster. In Part III of the book you'll find answers to questions your child might ask about God, the Bible, Jesus, joining God's family, and more. So there's no need to panic if your child wants to know something that isn't on the tip of your tongue! Day 54 - Teach your kids to care for wildlife and build a birdhouse with your children or create a bird feeder. Q: If you could keep your room any way you wanted, how would it look? Q: What do you call a kitten drinking lemonade? WIN: 24/7 MOMS and Vtech are giving away ONE Vtech V.Reader along with a book to one of the 24/7 MOMS. PLUS a mix of coupons from: JUICY JUICE®, OVALTINE® , EDY’S®/DREYER’S® , CARNATION® Breakfast Essentials, WONKA®, NESQUIK®, TOLL HOUSE® Refrigerated Cookie Dough, TOLL HOUSE® Morsels. DRUMSTICK® Sundae Cones, NESTLÉ® Pure Light. 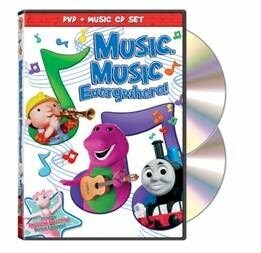 Your children will be singing, laughing and dancing along with their favorite friends Barney™, Bob the Builder™, Thomas & Friends™, Kipper™ and Angelina Ballerina™ in Music, Music Everywhere from Lionsgate and HIT Entertainment. The package includes a full-length DVD AND a Bonus Music CD. Jump on stage for a musical adventure full of high notes and sing-along fun! Barney, Bob the Builder and Thomas strike up the band and discover that piano-playing is even better with friends. Join Rusty the diesel engine as he learns to toot his own horn, sing with Lofty and his bird friends and pirouette alongside Angelina as she teaches her pals that music is a beautiful language. Get ready for a harmonious ride that will have you singing and dancing for more! *We received a complimentary Barney™: Let’s Play Outside springs onto DVD for review no financial compensation was received. Day 53 - Purchase or create your own kite and take your kids outside to fly a kite. Q: If you could trade lives with somebody you know, who would it be? Q: What do you call a gorilla with a banana in each ear? A: Whatever you want, he cannot hear you. Do you remember as a child those long summer days and nights playing for hours and hours the many classic games of kick ball, hide-n-seek and capture the flag? I do and I am now enjoying long Summer days and nights watching my children play some of those old classic games. Need a new or should I saw old classic game to teach your kids this summer? Here are 15 classic neighborhood outdoor games your kids will enjoy playing for hours. Red Rover - Click here for instructions. Mother May I - Click here for rules and instructions. Red Light Green Light - Click here for instructions. Sardines- Click here for rules and instructions. Ultimate Frisbee - Click here for instructions. Monkey In The Middle - Click here for instructions. Horse Basketball - Click here for instructions. TV Tag - Click here for rules. Hide- N - Seek - Click here for instructions. Dodge Ball - Click here for rules and instructions. 4 Square - Click here for instructions. Kick the Can- Click here for rules and instructions. Kick Ball -Click Here for instructions. Capture the flag - Click here for rules and instructions.